Apple’s iPhone XS and iPhone XS Max are out, and both of them come with a new top-tier model that offers 512GB inbuilt storage. A report now suggests that this move might be one of the biggest revenue and profit boosters for Apple, as it is said to charging more than three times what it costs to procure NAND storage chips for the iPhone 2018 lineup. To recall, the iPhone XS is priced at $999 (roughly Rs. 72,900) for the 64GB model, $1,149 (about Rs. 83,800) for the 256GB variant, and $1,349 (approximately Rs. 98,400) for the top-end 512GB model. Similarly, the iPhone XS Max is priced at $100 more for each configuration. A report by Bloomberg cites IHS Markit analyst Wayne Lam to suggest that storage costs Apple $0.25 (around Rs. 18) per gigabyte (GB), while it charges the customer $0.78 (about Rs. 57) per GB in the iPhone range – more than three times the prices of the component. The report adds that the $0.78 charge per GB has not changed since last year. In comparison, Samsung charges about 65 cents (roughly Rs. 47) per GB to upgrade from the base 128GB storage model of the Samsung Galaxy Note 9to the top-end 512GB model. To put things in context, Apple charges $350 (around Rs. 25,500) more to jump from the 64GB variant to the 512GB variant, and it could be making $134 (about Rs. 9,800) more per phone, compared to the storage tier below it, excluding assembly and software related work. This is up from $107 (roughly Rs. 7,800) that it made in last year’s iPhone models. Additionally, Apple could me making a whopping $241 (approximately Rs. 17,600) more per phone with the top-tier 512GB variant. However, the report also notes that while NAND storage drive prices have continued to fall over the past few years, Apple might not be feeling the margins yet considering the prices are locked under long-term contracts with suppliers. “Storage is one of their levers to create more revenue and is absolutely the most profitable iPhone feature,” Lam was quoted by Bloomberg to say. However, Bloomberg reports that charging a high margin for more storage is not the only way Apple will make money for the top-end variants. 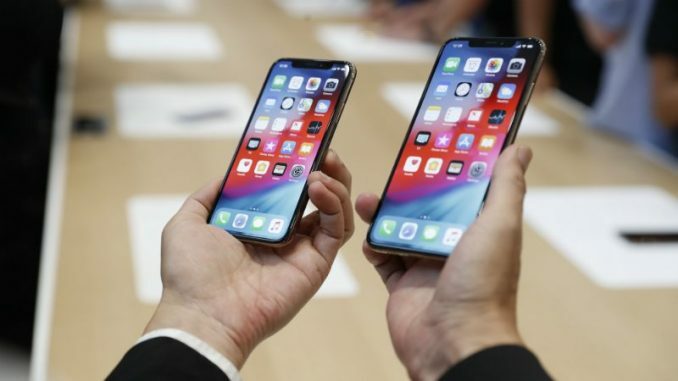 In fact, the availability of high amounts of storage on the iPhone will prompt users to opt for Apple’s services including buying songs, movies, Apple Music, and iCloud subscriptions. Multimedia and data backup are two essential elements of the smartphone experience. Theoretically, buyers paying $1,449 (about Rs. 1,05,700) for the iPhone XS Max 512GB variant could end up paying another $40 (around Rs. 2,900) a month for iCloud, Apple Music, and a minimum of one movie on iTunes. And, there’s always the additional funds to buy that Lightning to 3.5mm dongle, and, of course, a faster charging adapter.